Link Party: 7/6-7/10 – Zoë Lance. The best thing about lately is that I have had more time to focus on making stuff. On the left, part of a watercolor print I made and taped into my sketchbook. 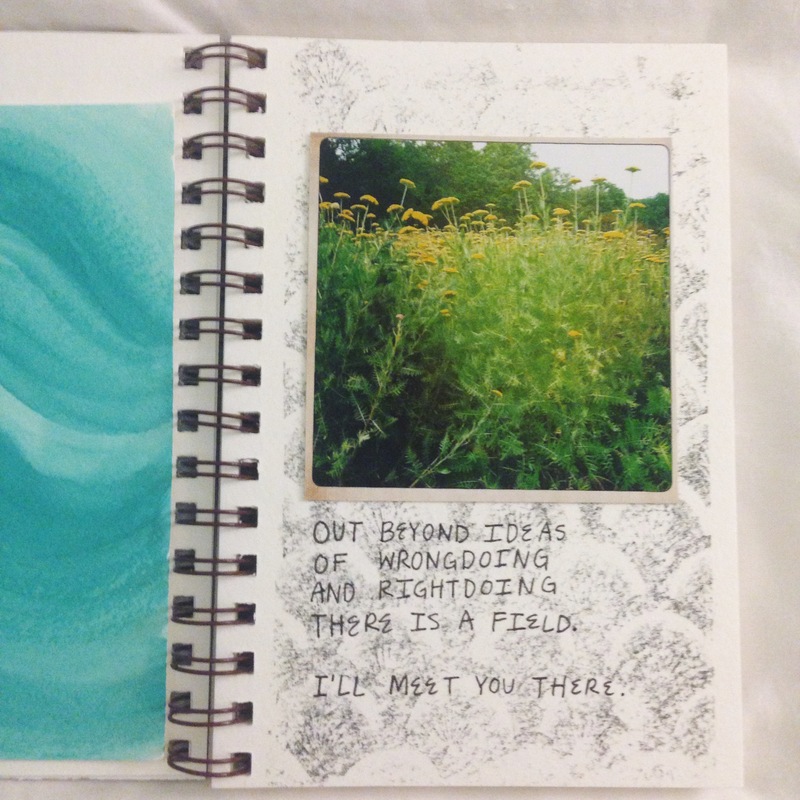 On the right, a image transfer background, my photo of a field somewhere in northern France and a Rumi quote. 1. I love Diane Keaton, and this New Yorker profile from the 1970s is fantastic. 2. Why babies in medieval art look like ugly old men. 3. I say it every week on Twitter, but Rachel McAdams as Ani Bezzerides is truly the best part of this season of True Detective. 4. The story behind the iconic photo of an American girl in Italy. 5. This guy looking for an apartment in New York accidentally inherited a stranger’s entire home. And a bonus: Dirtbag Hamlet is the best in the Dirtbag series, but Dirtbag Louis XIV comes in a close second.